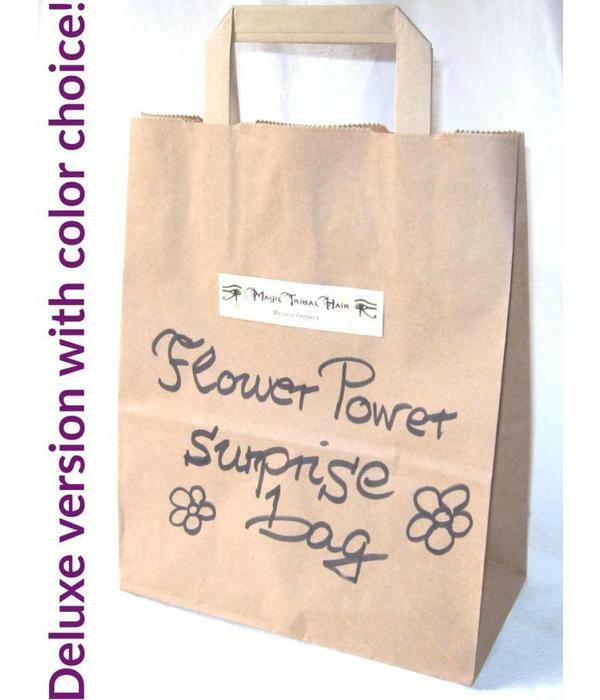 Deluxe version with color choice! 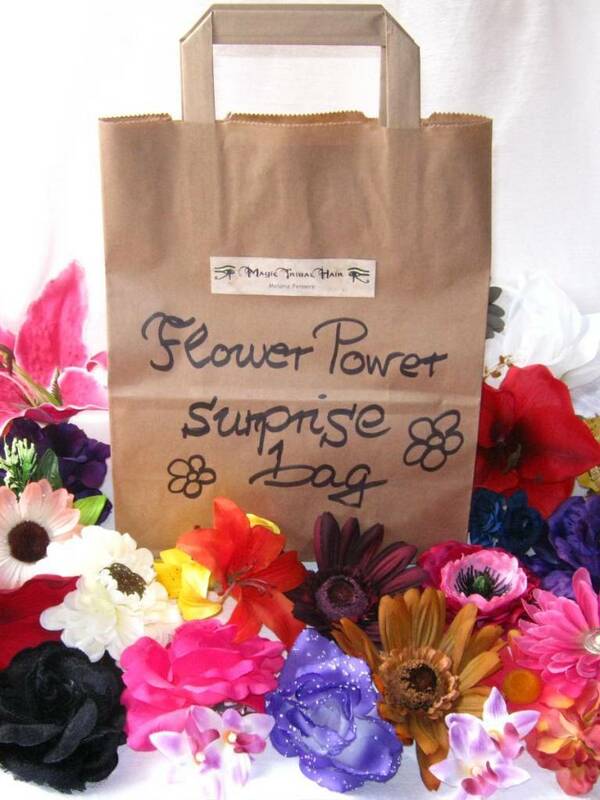 Each Flower Power Deluxe surprise bag contains a set of 5 to 10 hair flower hair clips with beautiful blossoms attached to professional metal hair clips for very strong hold each (minimum hair length: 5 cm/ 2 inches). 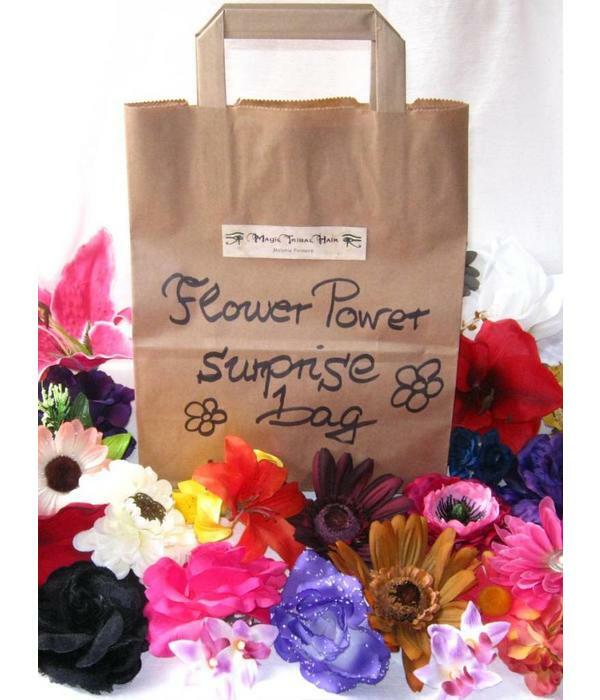 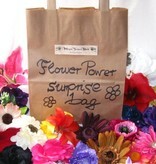 The regular price of the hair flowers is almost two to three times the surprise bag price! 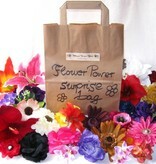 Size: the flowers differ from about 5-17 cm/ 2-6.7 inches in diameter each. 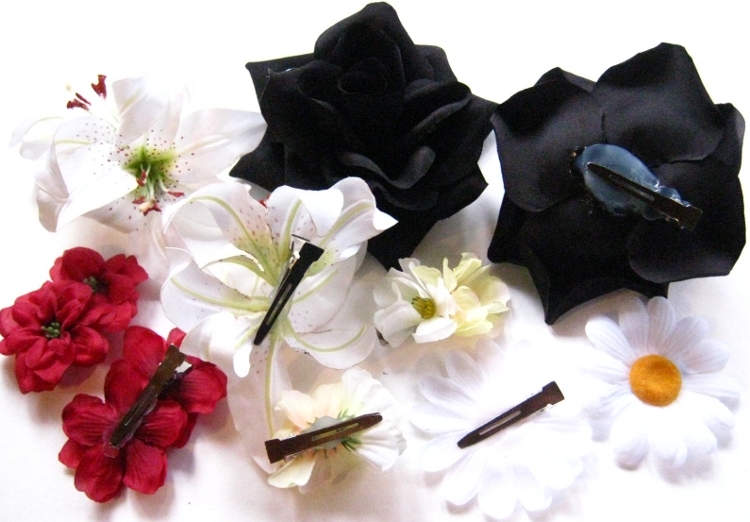 These hair jewelry sets are perfect for the lovers of hair flowers and naturally for (tribal fusion) belly dancers! 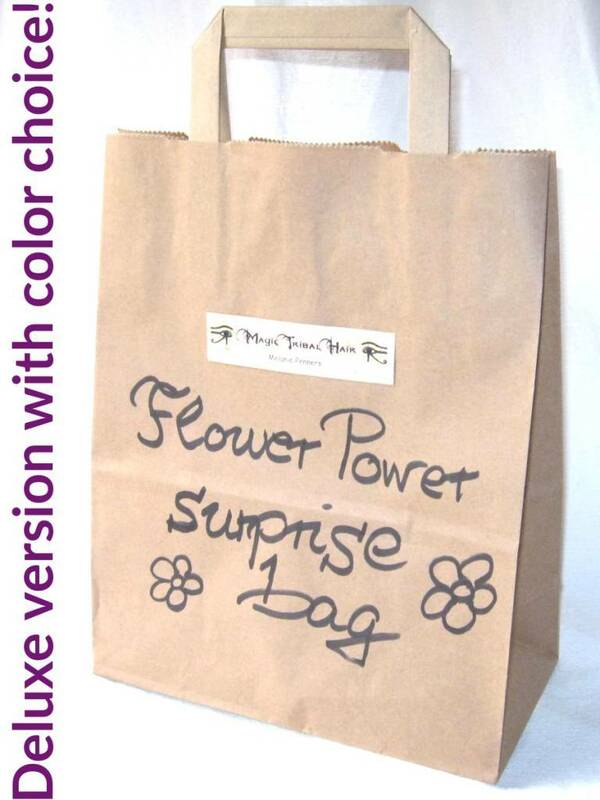 Please choose 3 color themes in the drop down menu above with your order! 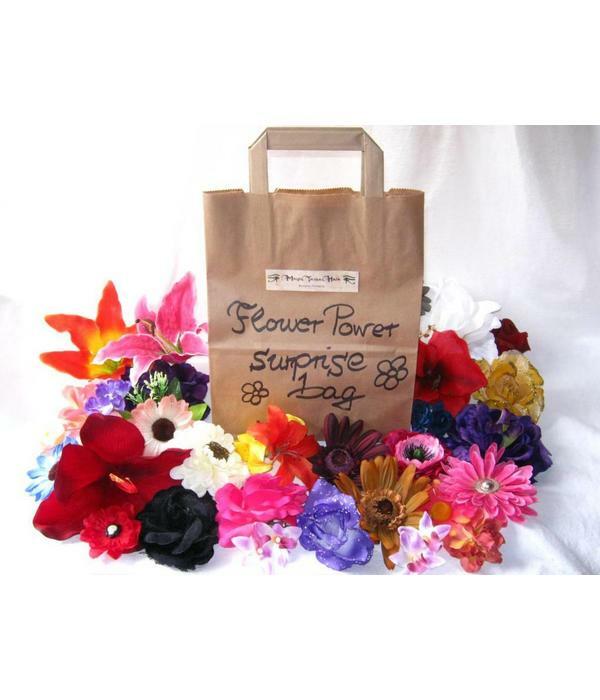 Your set will be made of the 3 color themes you chose, so if you pick 1 or 2 color themes only, we must add flowers from matching color themes. 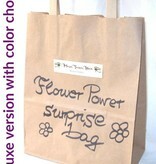 If there are several colors in one theme, you might not receive a flower of each color in the theme. 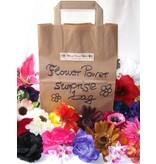 This surprise bag is limited to 2 pieces per order, because we want many people to have the chance to get one! 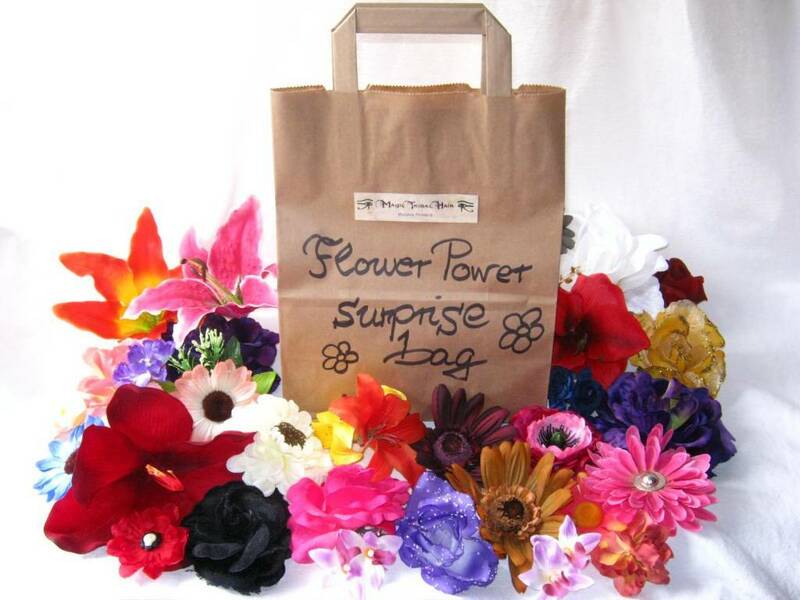 We offer about 150 different hair flowers, so there are many more possible flowers which could be in your bag than the ones in the picture only! 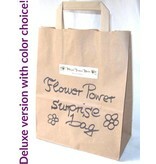 The pictures show surprise bags with English and German labels. 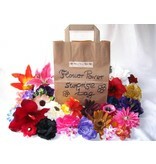 Naturally you will get the English label when you order through the English site!